NDA Application Form 2019 - Union Public Service Commission (UPSC) had activated the facility to withdraw NDA application form from February 8 to 14, 2019. The Commission had released the online application form of NDA (1) 2019 on January 9. Candidates were able to register and fill NDA application form till February 4, 2019 (6 pm). The last date of fee payment online was February 4 while it was February 3 for offline payment. 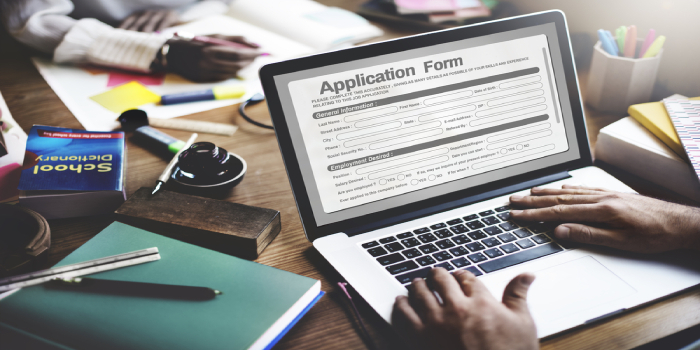 NDA application form 2019 was available in two parts. In Part 1, candidates had to register for the exam by filling up their basic details. In Part 2, candidates had to pay their application fees, select exam centres, upload photograph and signature and agree to the declaration. The application fees could be paid both online and offline which was Rs 100 for general and OBC candidates while SC, ST candidates were exempted from paying the fee. Candidates can read this article below to know how to fill NDA application form. **Note - UPSC has released the list of candidates who have not paid the application fee. In case if the candidates whose name is there in the list provided here and have paid the application through online mode then they need to submit a copy of their debit/credit card statement or bank account statement. For those who have paid through offline mode need to submit the bank-pay-in-slip (in original) to UPSC within 10 days. The exam dates of NDA 2019 along with other relevant dates of the exam have been provided in the table below. The facility to withdraw NDA application form was available from February 8, 2019. Candidates who did not want to appear in the examination were able to withdraw their applications. Candidates were able to withdraw their application form till February 14 (6 pm). However, candidates were able to generate OTP for withdrawal of application form only till 5:30 pm on February 14. The procedure to withdraw NDA application form is explained below. Candidates were advised to go through the instructions carefully before filling up the request for withdrawal of application. To withdraw NDA application form 2019, candidates were advised to provide the details of their registered application with registration ID which was completed and submitted finally. Candidates were not required to withdraw incomplete applications. Before making the request for withdrawal, candidates had to ensure that they have access to the registered mobile number and email-ID which were provided by them at the time of submission of application. Separate OTPs were sent to candidates’ registered mobile number and email ID. Request for withdrawal was accepted only after it had been confirmed by validating the OTP details. OTPs were valid for 30 minutes only. Candidates who did not receive the OTP within 10 minutes could avail the 'Resend' option to generate new OTP code. If any candidate had submitted more than one application form then the higher registration ID of application was considered for withdrawal. Once candidates’ request for withdrawal of application was accepted, candidates must have printed a copy of the authenticated receipt. Once the application had been withdrawn, candidates cannot revive the same in the future. The application fees will not be refunded to candidates. On successful completion of withdrawal of application, an auto-generated email and message were sent to candidate’s registered email ID and mobile. Candidates can check below the procedure to fill UPSC NDA 2019 application form. Page 1: Details of candidates - Candidates had to provide the details like candidates’ name (as recorded in matriculation/secondary examination certificate), gender, date of birth, parent’s name, nationality, marital status, community, fee remission (if applicable), educational qualification, address and email ID. Page 2: Preference of branch - In this page, candidates had to choose preferences from Indian Army, Air Force and Navy. Candidates had to mark their preferences in numbers from 1 to 4. Mark ‘0’ for posts in which candidates did not want to apply. Candidates from Sanik/Military School or Son of JCO/NCO/Other Rank Officer had to enter relevant details. After entering all details, click ‘Continue’ to continue to the next page of NDA application form 2019. Candidates in this part had to verify the details entered in NDA 2018 application form. No change in NDA application form was entertained after final submission. Page 4: Generation of registration ID – In this page, preview the details including name, father’s name, DOB, email ID and registration ID. An email regarding the registration details was also sent to candidates’ registered email ID. Candidates paying application fees offline had to print their pay-in-slip during this stage. Next, candidates had to print application form by clicking on the ‘Print Application Part-I’ tab. After printing the form, click ‘Part II Registration’ button to pay fee, select exam centres, upload photograph and signature and agree to declaration. Fee Payment - Candidates could pay application fees both in online and offline mode. The fee for general and OBC category was Rs. 100 while SC/ ST candidates, sons of JCOs, NCOs, ORs was exempted from paying the fee. Mode of payment - Candidates could pay their application fees offline through 'Pay by Cash' mode while online payment could be done through net banking, credit/debit card or Rupay. During Part 2 registration, candidates paying fee by cash should print pay-in-slip generated by the system. Selection of examination centre – In this part, candidates had to select centres for the written exam from the list of exam cities provided by the Commission. As exam centres are allotted on first-come-first-serve basis, candidates must choose the centres at the earliest. Uploading of photograph and Signature – After selecting preferred exam centres, candidates must upload scanned images photograph and signature. The images must be in jpg format and the size for photograph must between 3 KB - 40 KB while it should be 1 KB for signature. After uploading photograph and signature, candidates must agree to the declaration and submit the form. Registration ID was generated during this stage. Candidates can view the application form by clicking on the link ‘View/Print’. How to edit details in NDA 2019 Application Form? Candidates were able to edit the details entered in NDA application form till the prescribed dates of application. Applicants had to make changes in the application form by clicking on the ‘Update’ button provided at the bottom of application form. However, candidates had to ensure that all details entered by them are correct before making the final submission as further changes in the application form are not allowed after the same. The NDA 2019 application form of candidates whose payment details were not received from banks was treated as fictitious payment cases and their applications were rejected. A list of such candidates was prepared by the Commission within two weeks from the last day of application form submission. Such candidates had to submit documentary proof of fee payment to Under Secretary (NDA), UPSC through post or by hand within 10 days. After receiving relevant proof, genuine fee payment cases were re-accepted by the Commission. Q: My name consists of more than 30 characters as per matriculation or secondary Examination certificate. Is there a limit of 30 characters for filling candidate’s name? Ans: If the name reaches more than 30 characters while filling candidate’s name in NDA application form, an additional field for full name will appear in the form. The full name accepts upto 70 characters. Q: I am not being able to access NDA registration page. What should I do? Ans: The delay in accessing the page may depend on factors including speed of internet, large number of applicants trying to register the application at the same time, etc. In case candidates are not able to avail the registration page, they must try again after some time or during late hours.